Most serious scuba divers who invest in their own set of scuba gear know the importance of having the best scuba fins their budget can stretch to. Having the right scuba fins for your preferred style of diving can greatly reduce the risk of becoming fatigued during a dive, or being stuck with cheap, uncomfortable dive shop rental fins. 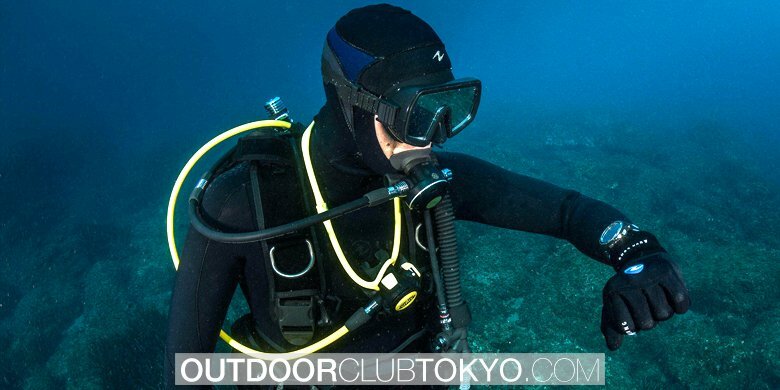 Opting for full foot or open heel style dive fins usually comes down to the type of environment you will be exploring. Full foot fins work great in warm waters, while those who dive in cold water situations should definitely be using open heel style scuba fins along with neoprene scuba booties to keep their feet warm during their dive. Most open heel fins are also designed to be quickly adjustable and quick release, which is a nice added benefit, while full foot fins tend to be a bit more lightweight and flexible. Both are great, as long as you pair them with your favorite dive environments! Below is our list of what we consider to be the best scuba fins of 2019, and some of the top rated models as voted by divers around the world! 1. The Best Scuba Fin Care Basics You Need to Know. 2. What Are the Advantages of the Best Scuba Fins? 3. Tips When Choosing Your Scuba Fins. The Mares X-Stream are some of the best scuba fins on the market at the momet. They are extremely comfortable and provide great propulsion through the water, with minimal kicking effort. The unique mid joint means the fin is flexible, while the wide blades provide a good level of power with each kick. The material on the foot pocket is also extremely soft when compared to other open heel dive fins, making them feel very simialr to rubber full foot fins should you decide to go barefoot in tropical conditions. The X-Stream are made of high quality materials and we found them to be extremely durable and versatile, these are also some of the best scuba fins for swimming in current. Another great pair of open heel fins, the Tusa Solla has one of the more comfortable heel straps out of all the fins we have had a chance to try on. The strap features an additional curve that fits the ankle better, and the quick release clasps are awesome. The fin itself has a mid size blade that is made from hard composite colored plastic mixed with softer rubber grooves to help with hydrodynamics. This makes it great for divers looking for scuba fins that are easier on the knees thanks to a bit of extra flex in the design. The Tusa Solla Scuba fins are are extremely affordable, and good for any diver on a budget who still wants high quality scuba gear. A rock solid dive fin option. Hands down, the Aqualung Stratos 3 are the best full foot scuba fins we have tried in a long time. They are an extremely comfortable set of dive fins with an extra soft rubber foot pocket that stretches nicely to fit feet of any shape, male or female. The blades are medium-long size and thanks to the great design almost the entire blade is used with every kick, while the rubber grooves channel water to add extra thrust. Warm water divers should definitely look into these awesome full foot fins, they are priced exceptionally well for the value you recieve. If you are the type of diver who has to have the best of the best when it comes to scuba gear, or a dive master/instructor who dives every day, then the Scubapro Seawing Nova are probably the best scuba fins out there. As always, the ScubaPro name means exceptional quality and the Seawings are built with an amazing design. The fins flex point at the tip of the foot pocket means the entire wide blade is displacing huge amounts of water with each kick, while still remaining flexible and easy to maneuver. Many of the high vis colors such as white or neon yellow really help other divers keep track of you even in low visibility situations, great for those leading groups. Extremely high quality construction means these diving fins will last you a long time thanks to their durability. The only downside is the high price range due to being a premium level scuba fin, but for those looking to invest in their gear, there really is no better option. The Mares Avanti Quatro scuba fins have an awesome bungee style heel strap that makes them extremely easy to slip on and off. Just grab the large handle loop, stretch and they are soon snugly in place. Not having to mess around with buckles and releases means these dive fins are easy to put on in and out of the water, whatever your preference! These are a good option for divers who like a slightly stiffer fin, this makes kicking slightly more tiring than some of the other fins like the Seawing or X-Stream, but the extra stiffness will give you extra propulsion with every kick, allowing you to cruise easily through the water or against current. The Avanti Quatros are a great scuba fin for intermediate level divers. For divers who like a stiffer fin that will really power them through the water, Dive Rite XT scuba fins are a good option. The blades are quite stiff and are great for experienced divers who know how to get the most out of their kick. The Dive Rite XT has one of the best heel straps on the market, they are extremely durable and have a high quality construction with all metal buckles and a nice strong spring strap system that makes them easy to pull on and off. 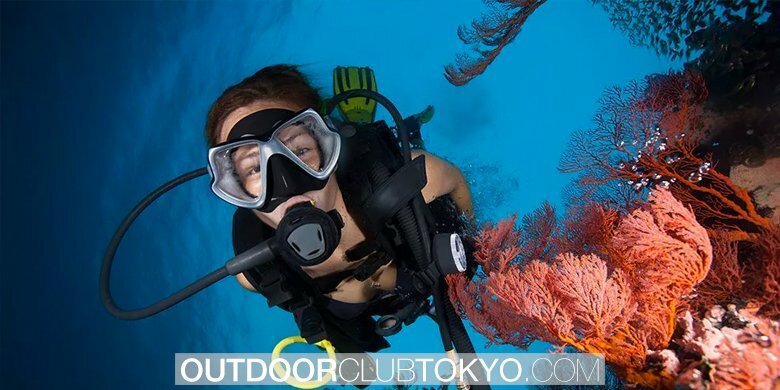 The price point makes them ideal for intermediate to advanced divers who invest in high quality equipment. Split fins have certainly become popular with a larger audience over the last several years, and one of the best pairs of them we have tried is the Atomic Aquatics Split full foot scuba fins. Atomic Aquatics tends to make high end scuba gear, and these are definitely in line with their design principals. Constructed from high quality materials they are extremely comfy and stretch well. These are great dive fins for those who stick to warmer waters, and even though they are from a high end scuba gear company, the price is surprisingly affordable. We found the split fin design makes kicking slightly easier and more hydrodynamic, easing stress on your joints. Two thumbs up from us! The Cressi Frog Plus are some of the best scuba fins for those on a budget but looking for a high quality set of fins. Medium flexibility means they are reasonably easy on the knees and still give you some decent power with each kick. These fins are made of high quality plastic and rubber, with a quick adjust buckle system that allows you to release the heel strap pretty easily both on the dive boat or on the surface after a dive. While not the most high end scuba fins on this list, they are one of the best in terms of price vs value. We highly recommend the white color choice, it really helps you remain visible even in bad dive conditions. The Aqualung Slingshot scuba fins are another interesting design with a pivot point built in, just after the foot pocket. This gives them some easy flex action when kicking. The built in silicone band hinge adds some extra power when it helps the blades swing back into position, giving some more thrust with each kick. The only downside to this is these fins are a bit heavier than some of the others on this list, which makes them super sturdy, but some divers do not like the added weight from the joint system. Overall the entire construction is high quality with high density plastic and rubber. Rounding out our list of the top 10 best scuba fins is the workhorse of the pack. The Cressi Pro are probably the best scuba fins for divers looking to build their personal gear collection on a budget. The price range is super affoardable and the overall construction is high quality, and still far more comfortable than most rental fins we have gotten stuck with in the past. The blade is pretty stiff, and the cool thing about the design is it begins 3/4 of the way up the foot pocket which adds strength to the blades. Comfortable, basic and a great bargain in terms of price! Wearing the best scuba fins will help you in a wide assortment of ways. It will give you more power and adaptability in the water. You’ll have more control. You’ll have the capacity to kick in a characteristic style that will keep leg strains, weariness, and lower leg torment at least. To put it plainly, the best scuba blades are going to give you a chance to move in any water environment with complete solace as you stay in control of each development that you make. Scuba blades may appear like a really essential snorkeling or jumping thing, yet some swim fins are simply improved than others. This diagram will offer you some assistance with finding the right scuba fins to meet your specific needs at this moment. The vast majority can locate a decent match of scuba blades without much trouble. For whatever length of time that they secure firmly, give solace, and give you quality and control in the water, you’ll have a decent arrangement of blades. What isolates the better from the best is realizing what the look after the blades with the goal that they stay in great working request. Above all else, you have to ensure your fins are put away where daylight can hit them. This will make the fins corrupt, make staining, and conceivably even make the composite materials weaker on the grounds that the light separates the obligations of the materials. You’ll likewise need to ensure that the majority of your straps, clasps, and sharp edges are perfect while being put away. When you get your scuba blades, they’ll generally have a foot-pocket supplement set in the fins. Try not to discard these additions. They can be utilized amid times of capacity so the fins can keep their shape all the more viably. Store your fins some place level too so the sharp edges don’t end up with a wrinkle in them that you can’t get out. Will be discovering three types of scuba Fins available today. Thermoplastic elastomer balances are extremely lightweight and give power on the grounds that they are somewhat hardened and oppose the water weight pretty successfully. All-elastic fins are exceptionally adaptable and accommodate more regular developments, but on the other hand are overwhelming and loan to swimmer weariness. Fusion fins consolidate both components in a special rate so that a more customized experience can be appreciated. What works best for you relies on upon your leg quality, water environment, and regular kicking style. The point of interest here is that with such a large number of plunging blades accessible. With costs beginning around $20, it likewise isn’t going to cost you a ton to get some additional force with each kick. Picking the correct scuba fins can spare vitality, air and pointless bother. The right combine can feel like normal members, effectively pushing you forward with every little push. The most imperative thought is fit. At that point you’ll need to think about configuration. Try not to get got up to speed with brand names or cost. Make the venture that will work for you. Icy water jumpers will need customizable strap scuba balances, so they can wear warming booties underneath. Coral jumpers and remote ocean excavators require the customizable strap model for its extraordinary drive and foot security. The split fins configuration is functional for globe-trotters who are inclined to leg issues and why should willing spend somewhat additional for the included solace gave by their scuba blades. Notwithstanding, picture takers and hollow jumpers won’t like them, as they aren’t suggested for drifting, battling streams, retreating or frog-kicking. A second alternative, appropriate for traveler swimmers, are the agreeable and marine-life safe polyurethane power blades. Power fins are extremely agreeable for surface jumpers yet aren’t prescribed for wreck plunging or dry suit jumping. A more clear thought for scuba fins is length. Ebb and flow jumpers, focused submerged hockey players and wellness swimmers frequently like the more drawn out sharp edges like Aqualung, which has won “the best oar fins” recompense. To outline, buckle and wreck jumpers will need scuba blades that are short, with flexible heel straps. Vacationer swimmers ought to investigate power fins or fins with force upgrading vents. Jumpers in overwhelming streams will need durable, longer sharp edges. 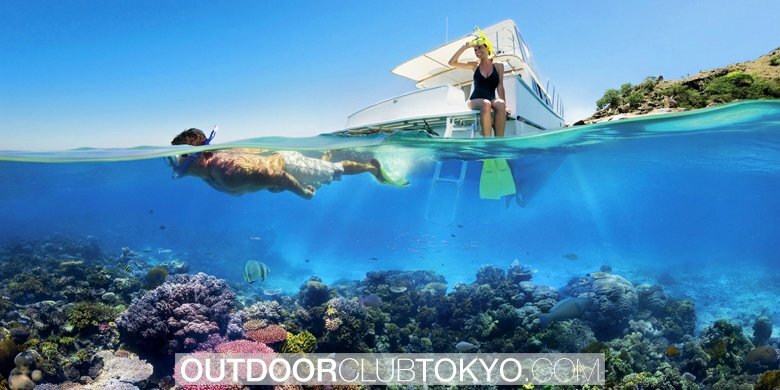 On the off chance that there’s one spot to spend, it’s on agreeable scuba fins. Picking the right match could spare you 40% in air supply refills and your body will thank you later.